​​We promised that we would remember and tell the story. 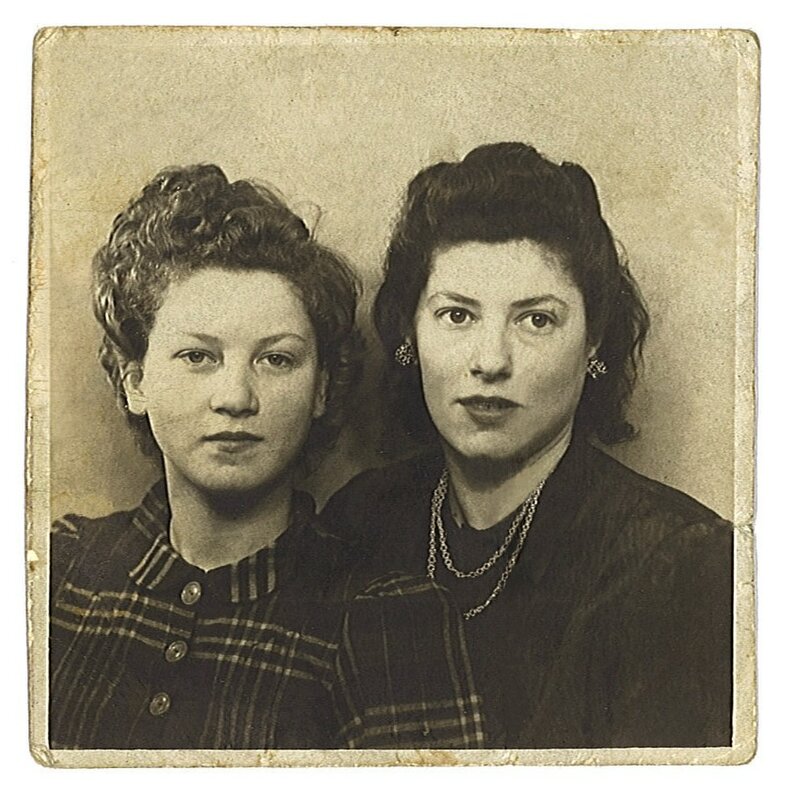 Judy and her sister Rachel, photographed sometime after the war. Information about the current investigation into former SS guards. See Judy's portrait and biography as part of this new photography exhibit featuring stories from holocaust survivors. Mina Cohen, Judy's daughter, is a painter living in Mendocino, CA. Her art is a response to Judy's story as told to her in the first person. The United States Holocaust Museum provides information about survivors to museum visitors, video interviews and more. A great article retelling the story about Judy's first activism in her own community in Philadelphia. Judy has been involved in many events and programs in Santa Barbara, California. Read a curriculum guide developed in conjunction with the film Tak For Alt. Information about a scholarship fund in honor of Judy and her husband Fred. Information about the documentary film Tak For Alt. A former website dedicated to preserving evidence of The Holocaust. Includes essays and documents. The Simon Wiesenthal Center is a global human rights organization researching the Holocaust and hate in a historic and contemporary context.